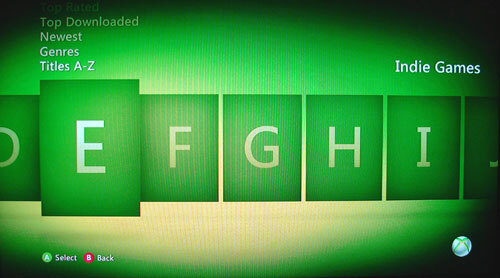 Log into the Xbox360. 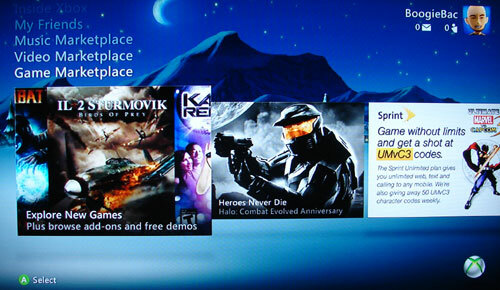 Press UP twice to reach "Game Marketplace" and press (A). 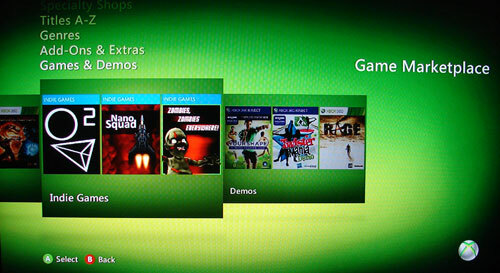 Press UP twice to "Games & Demos", RIGHT twice to "Indie Games", then press (A). Go DOWN twice to "Titles A-Z". RIGHT Until you reach "E", then press (A). Go DOWN the list until you've found ELFSQUAD7 (not to be confused with "Elfland Reloaded Vol.1"). Press (A) to get the demo or full version! Copyright 2011 Scott Tykoski, Tykocom and Stardock Entertainment. Copyright © 2011 Microsoft Corporation and/or its suppliers, One Microsoft Way, Redmond, Washington 98052 U.S.A. All rights reserved. Microsoft, Xbox, Xbox Live, the Xbox logos, and/or other Microsoft products referenced herein are either trademarks or registered trademarks of Microsoft Corporation. Any rights not expressly granted herein are reserved.